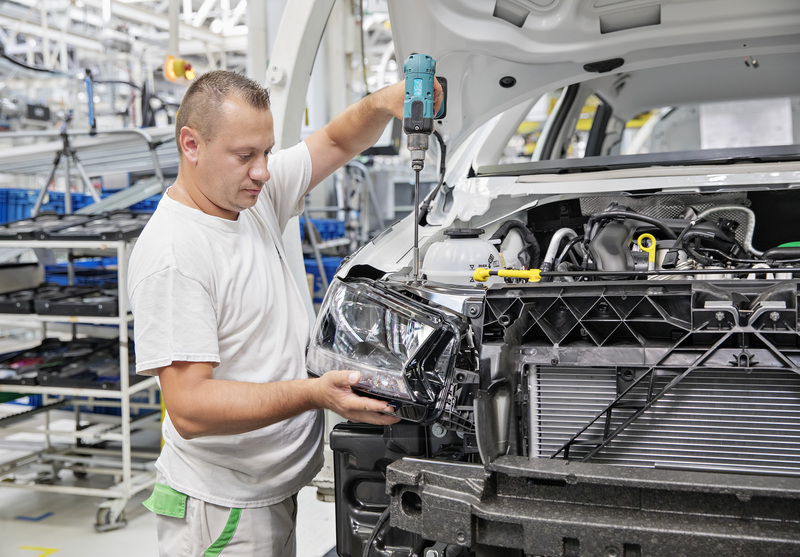 Mladá Boleslav, 10 August 2018 – Today, ŠKODA AUTO started production of the revised ŠKODA FABIA. The first unit of the revised bestseller has rolled off the production line at the main plant in Mladá Boleslav. The small car impresses with an even more attractive design for the front and rear, including LED lights as well as state-of-the-art technology for comfort and safety. Reliable and efficient 1.0-litre engines make the car even more enjoyable to drive. Since 1999, the ŠKODA FABIA has been one of the most popular model ranges from the long-established Czech brand. Worldwide, 1,790,000 customers bought a first-generation model, its successor achieved a similarly strong result with 1,710,000 deliveries. In June 2017, the 500,000th third-generation FABIA left the factory in Mladá Boleslav. 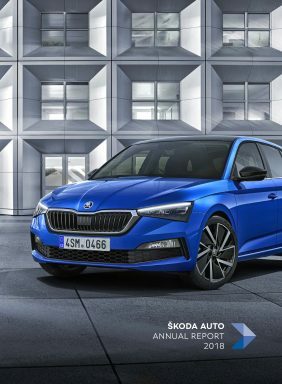 After the OCTAVIA, the ŠKODA FABIA is the brand’s second-bestselling model today with more than 4.1 million vehicles delivered. ŠKODA is offering the small car in two body variants, the FABIA hatchback and the FABIA COMBI. Germany is the most significant sales market for the ŠKODA FABIA. Since the launch of its first generation in 1999, 761,800 vehicles have been delivered to customers there. 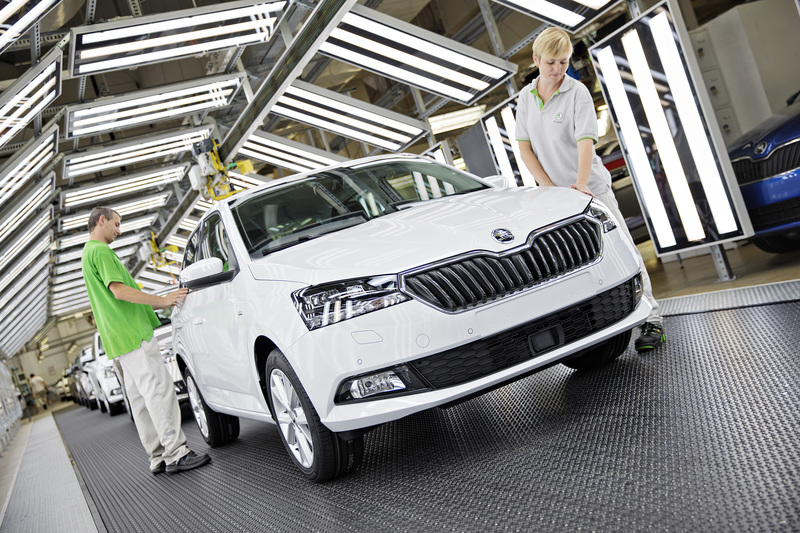 With 540,300 deliveries, the ŠKODA FABIA’s home market – the Czech Republic – follows in second place. The United Kingdom is in third place with 335,200 vehicles delivered so far and Poland in fourth with 314,000. Whilst 78% of customers in the United Kingdom opted for the hatchback model, the FABIA COMBI is particularly sought-after in the Czech Republic – just like in Germany, this version accounted for 43% of vehicles delivered. The ŠKODA FABIA is expected to continue this success story with several new features. For example, the engine portfolio of the revised small car now comprises four live and efficient three-cylinder petrol engines with a 1.0-litre cylinder capacity. The two MPI engines produce 44 kW (60 PS) and 55 kW (75 PS) respectively. Due to their advanced technology including turbocharger and direct petrol injection, the TSI engines deliver 70 kW (95 PS) and 81 kW (110 PS). Both TSI engines are equipped with petrol particulate filters. The most powerful of the four engines can be coupled with a 7-speed direct-shift gearbox (DSG). New design highlights at the front and rear give the ŠKODA FABIA a fresh look. For the first time, the small car is available with LED headlights and LED tail lights. The redesigned instrument cluster, refined decorative strips on the dashboard and the two-tone seat covers create the same elegant appearance in the interior. Blind Spot Detect, Rear Traffic Alert and Auto Light Assist, which are usually only found in higher vehicle segments, improve safety and are available in the ŠKODA FABIA for the first time.